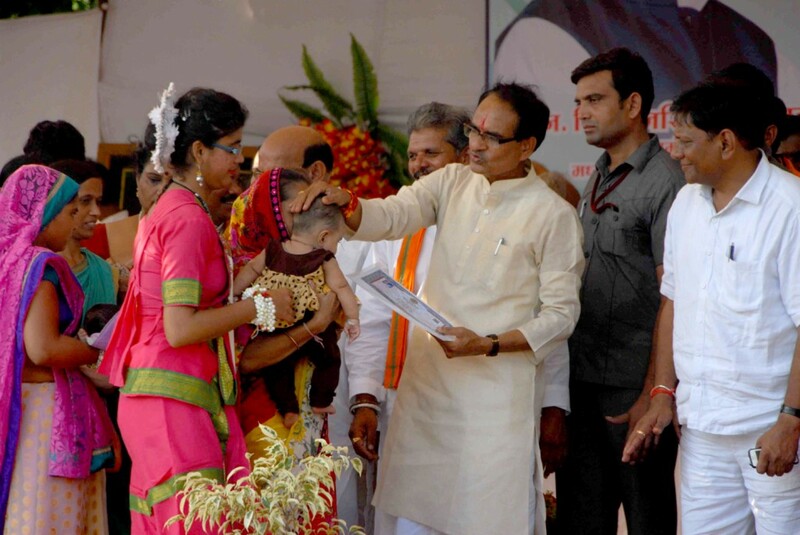 Bhopal, August 28, 2015 (Muslim Saleem): Chief Minister Mr. Shivraj Singh Chouhan has said that Narmada water will be supplied to Jhabua and Thandla areas. He directed officers to undertake survey and chalk out project for this at the earliest. He said that the state government will make available adequate funds. Mr. Chouhan was addressing Antyodaya Mela at Thandla in Jhabua district today. At the Mela, assistance worth Rs. 50 crore was given to over 47 thousand beneficiaries. MLAs Mr. Kal Singh Bhabhar, Miss Nirmala Bhuria and Mr. Shantilal Bilawal were also present. The Chief Minister announced development works costing over Rs. 83 crore for the district. Mr. Chouhan informed about sanction of Rs. 13 crore drinking water scheme for Meghnagar Nagar Parishad. He announced Rs. 5 crore each for development works of Meghnagar and Thandla Nagar Parishads. The Chief Minister said that a self-help groups’ convention will be held at Bhopal in September and October where experts will discuss their economic empowerment. The Chief Minister said that the state government is committed to imparting quality education to students. Every student will be given smart phone. He said that every possible assistance will be given to tribal students to succeed in All India competitive exams. He announced to open colleges at Meghnagar and Ranapur. The Chief Minister said that teaching of science subject will be introduced at Thandla government college in current year. Thandla bypass road will be constructed through villagers’ consensus. The Chief Minister extended Raksha Bandhan greetings to women. He said that self-respect of women will be fully protected in the state. Women will be given 50 percent reservation in recruitment of teachers. The Chief Minister dedicated and performed Bhumi Poojan of development works costing over Rs. 29 crore. The Chief Minister inaugurated Meghnagar and Thandla ITI. In-charge of the district Mr. Antar Singh Arya was also present.